In this article, we’re going to be reviewing the Best Chicco Strollers for 2018! Chicco was founded in 1958 in Italy by Pietro Catelli, a researcher and inventor of pharmaceutical devices. Pietro developed a keen interest in baby products after he had a son. Thus was born the brand that grew into a global phenomenon. Today, Chicco (pronounced as kikko) has a wide range of strollers suitable for a variety of lifestyles and preferences. These include full-size strollers, lightweight strollers, jogging strollers, travel-system strollers and other niche products. Choosing the right stroller for your newborn or toddler can be a little overwhelming. There are literally hundreds of models to choose from and some of them cost a pretty penny! So you certainly don’t want to end up with the wrong one. 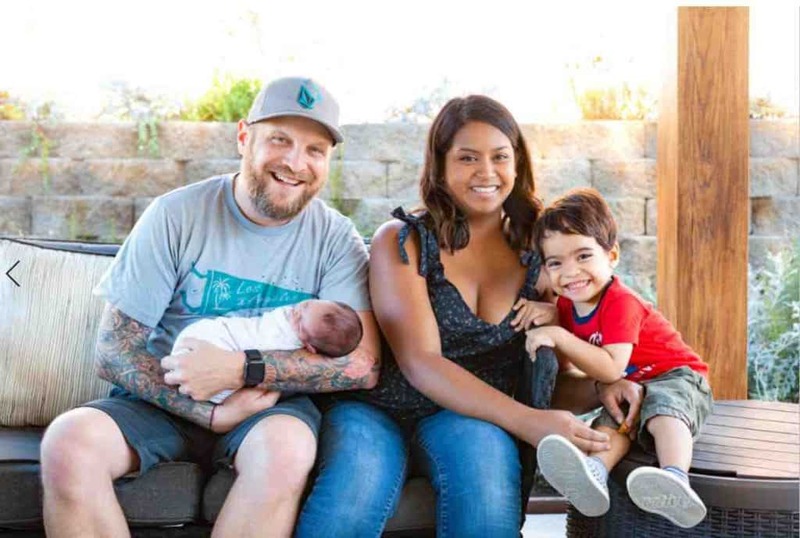 At Snugbaby, we continuously endeavor to make life easier for parents, caregivers and babies. When it comes to picking the perfect stroller, we’ve done all the hard-work and research so that you can save time and money. We literally went through thousands of reviews and came up with a list of the top 10 Chicco strollers in the USA. We have also added a Snugbaby score for each stroller. The score is calculated based on price to performance ratio, user reviews, quality, durability, features, warranty and other factors. This is the most compact stroller in the Chicco lineup, making it perfect for families that travel a lot or use small city hatches. The MiniMo weighs just a shade under 14 pounds and its unfolded dimensions are 40.9 x 19.1 x 31.5 inches. Despite being compact and light weight, the stroller frame is quite hardy and can accommodate a child weighing up to 33.5 pounds. • One handed folding system. Self standing fold. • 5 point harness and multiple position seat recline. Adjustable footrest. • Front swivel wheels with built in shock absorbers. Easy transportation thanks to shoulder strap. • Small wheels not suitable for jogging and off-roading. Weighing in at just over 19 pounds, the Mini Bravo Plus is compact and laden with thoughtful features such as a parent tray with 2 cup holders and zip storage, adjustable canopy with mesh vents for increased airflow, large storage basket, removable child tray etc. • Folds quickly in one swift motion. One hand, self standing fold. Comes with carry handle. • Swivel wheels and easy-grip handle for precision steering. • 5-point harness, foot-activated rear brakes. • Not suitable for jogging and country trails. This stroller works as a car seat carrier, toddler stroller and an infant stroller. It transforms from one mode to another within seconds and the seat reclines all the way back to create a bassinet for infants. 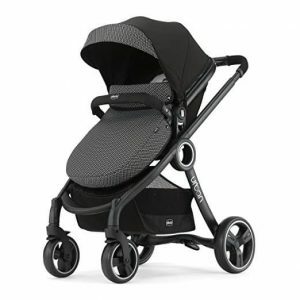 The Urban is suitable right from the first day of birth all the way up to 50 pounds. • Compact fold. Quick release wheels for convenient storage. This is one of the most popular Chicco strollers and it’s not hard to see why. Chicco has worked extra hard to keep caregivers happy. They have added neat features like adjustable handlebar, parent tray with cup-holders, linked parking brake and front or rear access storage bin. They’ve also done a five star job on the pricing! • Seat is removable to accommodate Chicco Keyfit infant car seat. Free car seat adapter included. • Multiple position reclining seat, all wheel suspension for a plush ride. • High quality, lead-free construction. Aluminium frame. • Weighs just 22 pounds. Max child weight 50 pounds. • 5 point harness. Extra-large adjustable canopy for Sun protection. • Not much, to be honest. Safety lock can be a bit fiddly. 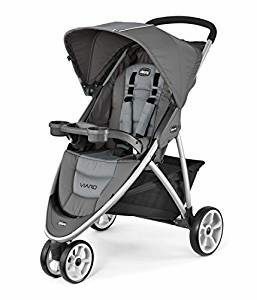 This is the one to buy if you are in the market for a cheap, travel-friendly lightweight stroller that is fairly rugged and not completely devoid of essential features. • Aluminum frame = light yet durable. • 4 position backrest recline. Adjustable footrest and canopy. • Rear wheel suspension. Swivel-lock front wheels. This is a top pick for those who want small size without compromising on features, quality and performance. • Quick, self-standing fold and carry handle – great for those who’re always on the move! • Weighs less than 19 pounds. Max child weight is 50 pounds. • Comfortable seat reclines to multiple positions. • Vented fabrics for added air circulation. • Not meant for infants. The Chicco Liteway is a great little stroller but it’s not compatible with car seats. The Liteway Plus retains all the signature features of the Liteway and it also accepts infant car seats. By picking the plus, you get a stroller that converts into a full-fledged travel system and is potentially usable right from day one. This is a yet another lightweight stroller from Chicco. It weighs 17.5 pounds and can accomodate a toddler weighing 40 pounds or less. It is suitable for infants as well as the 5 position backrest falls almost fully flat and there’s a hide-away boot for covering up the sleeping baby. Best-selling model with dainty styling, loads of creature comforts and a sensible price tag. • Compatible with Keyfit 30 infant car seat. Toddler seat is removable if required. • Does not have a bassinet mode. Otherwise it’s near perfect. Has 4-wheels but in a 3 wheel configuration. This makes it easy to maneuver and lends a nice sporty stance. • Compatible with Keyfit infant car seat via Click-n-go mechanism. No adapter needed. • Ultralight aluminum frame. Stroller weighs 18 pounds. Max Child weight 50 lbs. • 3-wheeler stance is deceptive. Not suitable for jogging and on grass, sand, gravel etc. I hope you enjoyed getting to know about the best Chicco strollers. Do let us know which was your pick of the lot! We have extensive info about almost every major baby products brand in the US. So feel free to take a look around!